Former Manchester United and Arsenal legends, Roy Keane has reacted to Liverpool ace, Mohamed Salah’s comparisons to Real Madrid’s Cristiano Ronaldo and Barcelona’s Lionel Messi. 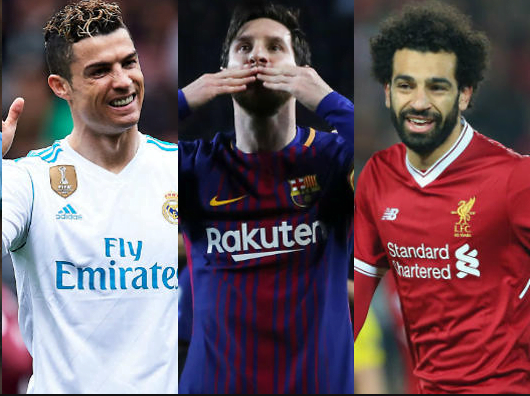 Salah has been compared to Ronaldo and Messi following his heroic performance for the Reds this season. Keane believes the Egyptian still has more to prove if he wants to be compared to Ronaldo and Messi. According to him, the 25-year-old still needs to prove he can inspire Liverpool to win trophies. “I always look at the strikers playing well and he has been compared to Ronaldo and Messi,” Keane told ITV Sport. “I think you still have to end up with one or two trophies with your club at the end of the season. “Part of my make-up when I played with players was if my strikers are scoring 25-30 goals like Dwight Yorke, Andy Cole, we have to win trophies. “Liverpool haven’t done that yet. If they end up winning the Champions League and he scores in the final, then start giving out the prizes. Meanwhile, Salah has been named PFA Player of the Year after scoring 43 goals in all competitions for the Reds so far this season. The forward stunning performance against Roma in the first leg Champions League semi-final clash on Tuesday night put Jurgen Klopp’s side on the verge to qualify for the final of the competition.